The U.S. Court of Appeals for the Federal Circuit last Tuesday affirmed a lower court’s decision to dismiss patent claims against Skype and its parent company (for now) eBay relating to uniform network technology. The federal appeals court affirmed without comment the dismissal of claims brought by Peer Communications, a subsidiary of Acacia Research Corporation, reports Law360. Acacia Research’s subisidiaries are in the business (PDF) of acquiring, developing, licensing and enforcing patents, according to its website. One of those subsidiaries, Peer Communications, filed the patent case in August 2006 in U.S. District Court for the Eastern District of Texas. The court ruled in favor of Skype and eBay swiftly, but the case then went on to the U.S. Court of Appeals for the Federal Circuit, which has now affirmed the lower court’s decision. 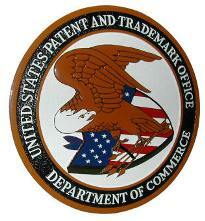 The two patents are somewhat related, to be fair. They deal with “a uniform user interface for network access that can enable a network agent to access multiple discrete network services,” according to court filing documents. The technology contributes to a system that allows groups of loosely interconnected agents to communicate contemporaneously without intermediaries such as a servers and to exchange data. A quick Web search reveals that the actual patent holder is most likely Miami-based Sociocybernetics, which has held such a patent in the U.S. since November 2005. It’s a small victory for Skype/eBay, who is neck deep in far more serious litigation than this patent case. More on that later.